Connection box LON-WA1/B2-AD230, with an integral power supply unit, is used to connect a second fire damper, that is fitted with a 24 V plug-in actuator, to the LON-WA1/B2 module; the connection box is supplied with 230 V 50/60 Hz voltage from the mains. The connection box is connected to the LON-WA1/B2 module with an 8-pole cable. The terminals have numbers to facilitate wiring. Connection box LON-WA1/B2-AD230 is used to connect a second fire damper, that is fitted with a 24 V plug-in actuator, to the LON-WA1/B2 module. 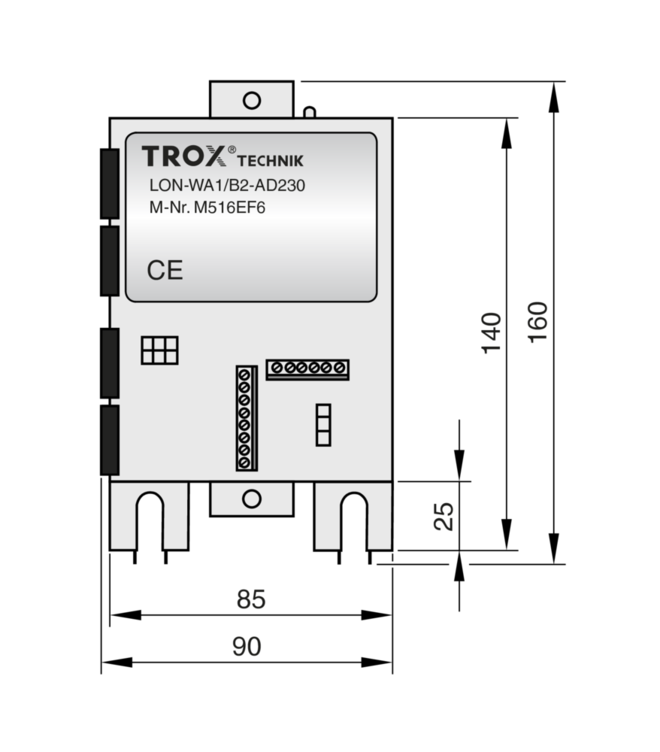 Connection box LON-WA1/B2-AD230 is supplied with 230 V 50/60 Hz voltage from the mains. The integral power supply unit provides the 24 V supply voltage for the actuators and for the LON-WA1/B2 module. 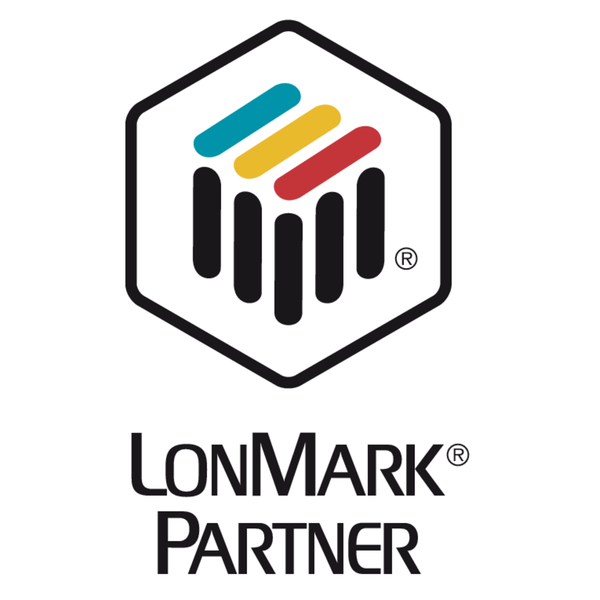 An 8-pole cable is used to transmit information on the end positions between the components, to transmit the control input signal for the actuator, and to provide 24 V. The LON-WA1/B2 software allows for each damper to be integrated independently with the LON network. Connection box with integral 230 V/24 V AC/DC power supply unit for connecting a second motorised fire damper (24 V) to the LON-WA1/B2; the 24 V voltage for the actuators and the LON-WA1/B2 is provided by the integral power supply unit. The damper actuator is connected with an AMP Mate-N-LOK plug. Can be attached to the fire damper with a mounting bracket. An 8-pole cable (by others) is required to connect LON-WA1/B2-AD230 with LON-WA1/B2.